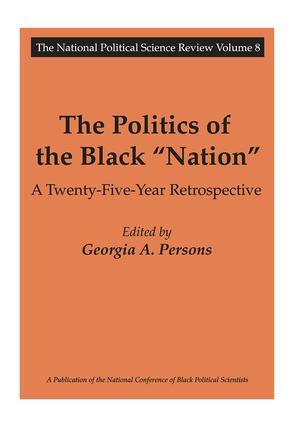 Looking Backward While Moving Forward: Comments on Essay "Toward Black Regrouping"
sum game. Let me elaborate. Modifying Political Tactics: Next Five Years: Modifying Political Tactics"
up less than 3 percent of all U.S.
like pollution, a negative ground in politics and social science. and often are active mem-bers of the same black churches.